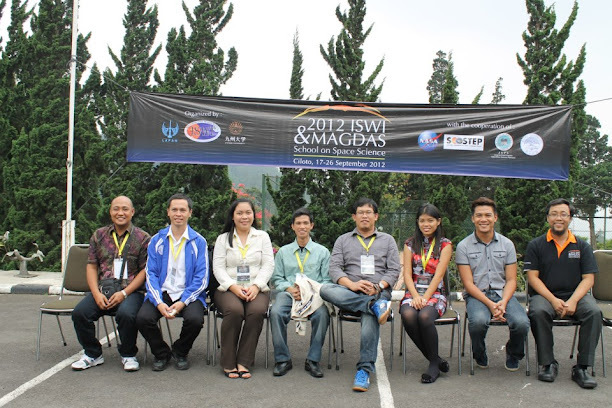 Clint Bennett and Dr. Quirino Sugon Jr., faculty members of the Department of Physics of Ateneo de Manila University, attended the 2012 ISWI and MAGDAS School on Space Science in Ciloto, Indonesia last 17-26 September 2012. ISWI stands for the International Space Weather Initiative of UN. Read more at the Ateneo Physics News.